It has been forever since any of our families have sent pictures so I thought I'd redirect you to another wonderful blog. 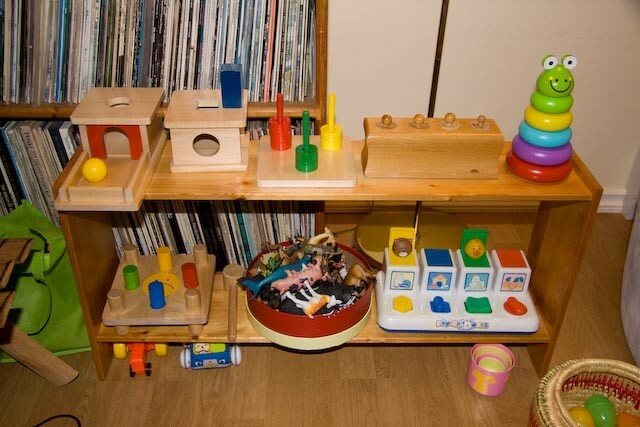 It is called A Montessori Home and is written by Cathy -another Montessori Teacher and parent. In the blog, Cathy answers many of the questions that come up when raising a child within the Montessori philosophy. Give it a read. I'm sure you'll enjoy it as much as I do. You are more than welcome. Cathy. Thanks for sharing your blog. I'm pregnant with my first child and would like to use the montessori principals. it's nice to see a working example. I have a few questions if you don't mind helping me? 2. The bed that you have on the floor, is it just a normal mattress? Are there any hygiene concerns about having a bed on the floor? I have carpet as you do, even if I vacuum regularly I imagine it will get dusty?